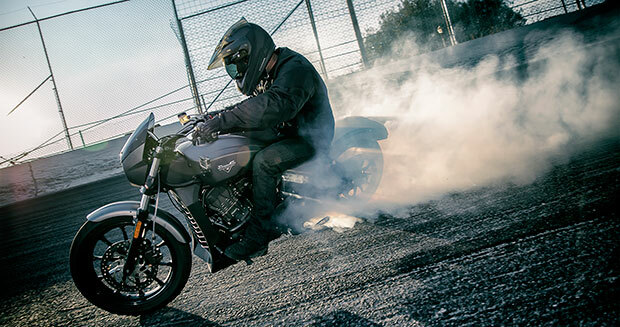 The record for the Longest motorcycle burnout was recently achieved by Joe Dryden (USA) at Orlando Speed World in Orlando, Florida, measuring 3.58 km (2.23 mi). Dryden achieved this feat while on board a 2017 Victory Octane. The record was announced during the Daytona Bike Week event, where the Octane made its official launch.